Words can not express the emotions this story brought out of me. The laughing, then cursing and crying, and last the whooping when justice is served. It's all packed into this book. I read a lot and if it's one thing that will keep me coming back for more it is books like this that bring you in like family and encircle you with their words. 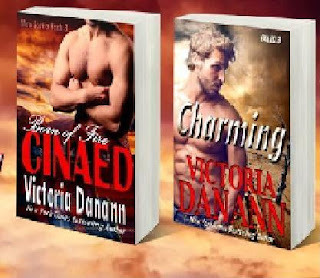 Victoria Danann is this author for me hands down with every story she brings out. I wish I could rate this book with infinite stars, it is absolutely worth it. I highly recommend it. WOW!!! What an awesome conclusion even though I am sad to see Penny's story end. Hoping for more in this world.